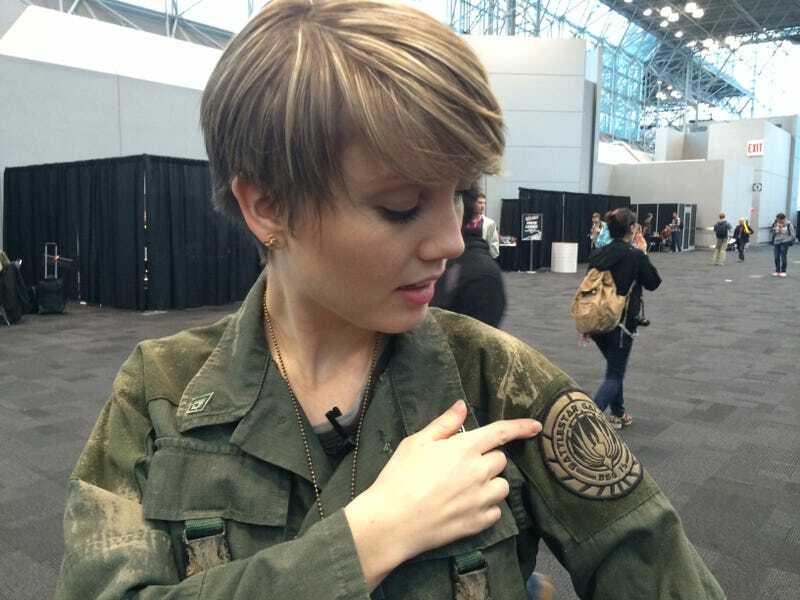 We caught actor Nicki Clyne at New York Comic-Con in her FULL Callandra Tyrol uniform. Yes, people, that is the actual suit she wore for Ron D. Moore's Battlestar Galactica. Word has it, she's filming a new short online series for Syfy. So happy to have you back, Cally!